These days, it seems like every single style of beer requires a special kind of glass, which is great for Bed Bath & Beyond's stockholders, but a huge pain for your cupboard space. The truth is, glassware does in fact affect beer's flavor, and while the old-fashioned pint is a thing of beauty, sometimes you've got to up your glassware game. But you don't need 20,000 different glasses to maximize your flavor. Turns out, you only need a few, according to glassware expert Jerry Moore at Libbey. What you do with the extra cupboard space is up to you. 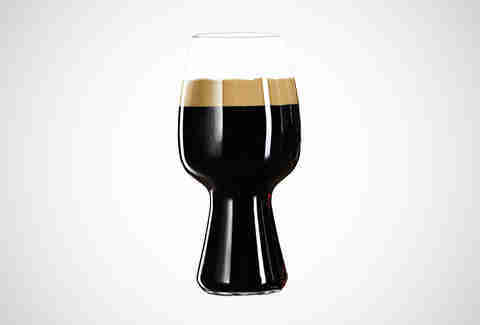 The indispensable Brewers Association's Beer & Food Course recommends a standard nonic glass for stouts, which you might recognize as the glass your Guinness is poured in at the bar. 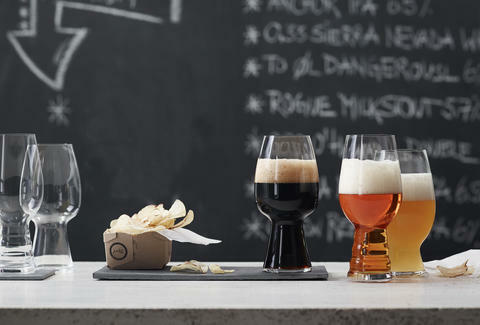 And while it's an inexpensive and popular glass for stouts, the German glassware company Spiegelau teamed up with Left Hand and Rogue to develop a glass that maximizes the beer's mouthfeel, flavor, and carbonation. The result is this funky-looking stout glass, which looks like a chalice and a beaker had a baby. The tulip glass is the standard recommended by the BA, as the shape of the top of the glass is curved out to "expand exposure to volatile aroma compounds." As in, it helps you smell the beer better! The fact that it has a stem helps with "temperature control," which "discourages exposure to body temperature." Translation: warm beer is not ideal. And something both the BA and Libbey agree on is that it's pretty to look at. 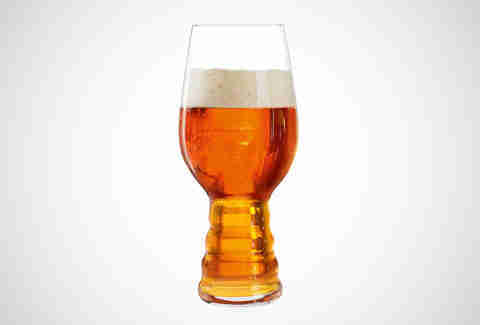 Libbey says that its Spiegelau IPA glass (pictured) has a design that "helps awaken the flavors and carbonation" present in the beer. 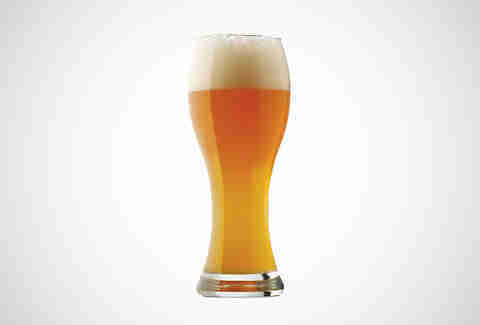 No matter if it's a tulip or an IPA glass, it's better experienced in a glass than in a bottle or standard pint glass. The only kind of beer glass that will remind you about that one time at band camp, the flute glass is what the BA recommends for pilsners and pale lagers. Moore says Libbey's glass design also features a "flare-out at the top," which makes the top wider than the bottom. He says this helps "highlight the carbonation and supports the head of the beer." It's the beer version of those little neck pillows you see wary business travelers carrying in the airport. 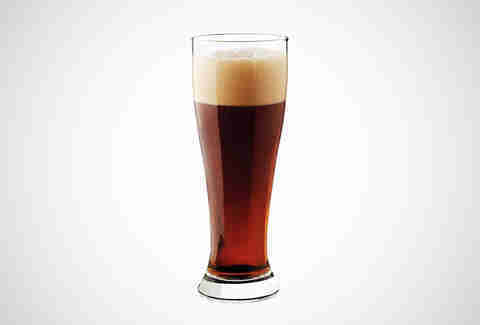 This glass is especially important if you're a fan of the traditional beer styles from Germany and the Czech Republic. Now, a tulip glass is a fine place to pour your sours, but if you're a frequent drinker of high-gravity beers as well, a better bet to fit all those beers will be the BA's suggestion of a snifter glass. 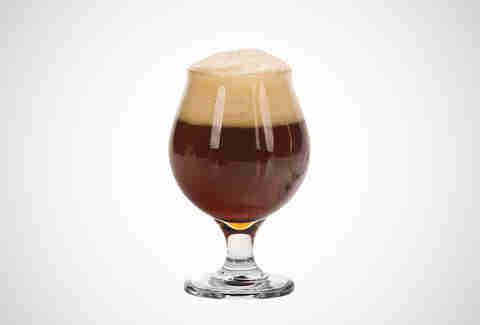 The snifter glass features a stem so your hand won't inadvertently warm up your beer, and it's aesthetically pleasing. Oh, and it also pairs really well with robes and fireside chats. While the BA says you can use either a flute or a vase glass (a glass that differs from the flute only in that the top goes straight up and doesn't curve outwards), the Libbey folks offer a much curvier take on the vase glass for wheat beers. Moore says that the curvy shape "helps concentrate the aromas of the wheat beers." The better to inhale those bread and flower aromas those beer snobs you know won't shut up about. Aesthetics are a significant part of the drinking experience as well, and we estimate it will raise your ability to get laid by 69.69%. Lee Breslouer is a senior writer for Thrillist, and needs to get new glassware. Follow him to flowery aromas: @LeeBreslouer.